I just wanted to upload a quick blog post saying a HUGE THANK YOU to you! Thanks to all of you gorgeous people following this blog, leaving comments and for just being here and so lovely! When I started this blog back in November 2013 I would never have thought that anybody would be interested in my ramblings and opinions. But it's so lovely to see that there are some people that actually read my posts! I can't thank you enough for that! 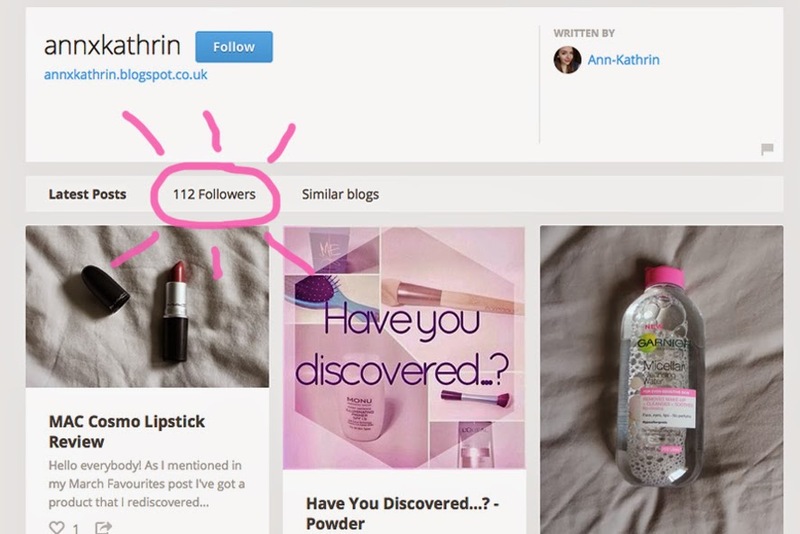 Now I've been traveling around for the last two weeks and didn't have proper internet connection so I've missed the exact date when I hit 100 bloglovin followers! But I checked it today and now there's already 112 of you! You can't imagine how much this means to me! I've already thought about doing a cheeky giveaway for when I hit my next milestone - keep your eyes peeled for that! Hope you have a lovely evening and a great Easter weekend!